Grilled salad might sound really odd, but hear me out on this one because it's amazing! 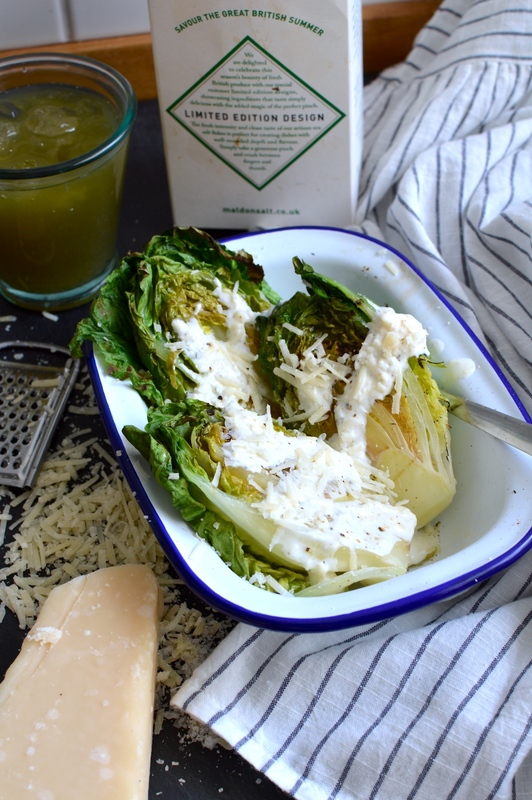 I love making a healthy version of Caesar salad with a dressing made from yoghurt, lemon juice and parmesan, but grilling the lettuce first really takes things up a notch. 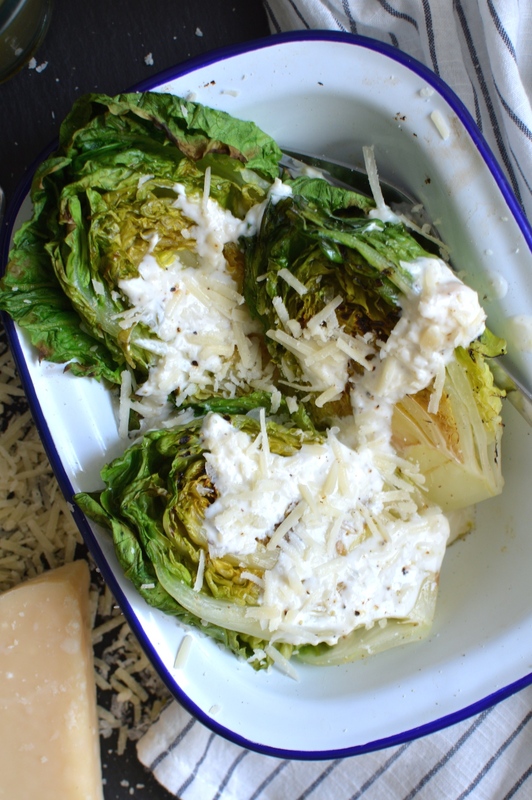 For this salad you want quite a robust lettuce, like little gem or romaine - no iceberg here! - which will hold its shape on the griddle. I like using little gem because it gets a lovely sweet and charred flavour. To make this recipe, you really do need a griddle pan to get those lovely darkened lines, but you can get a similar flavour if you put the lettuce under the grill for a few minutes either side. Likewise, you can stick them on the barbecue, which makes for a really quick and easy supper! Just brush both sides lightly with olive oil and you're good to go - on a hot griddle pan, each lettuce wedge should only need a few minutes on either side. 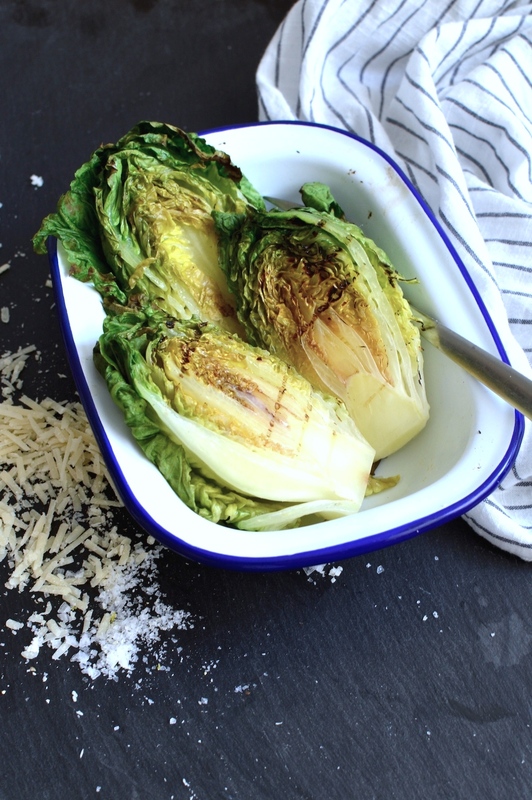 I like serving the wedges whole - it makes a nice impact on the plate and it makes it obvious to the people who are eating it that the lettuce is grilled, rather than just a bit hot! I have never tried grilling salad but why not it sounds nice and looks delicious ! I will give it a go !